Kiko is a gardener. She takes care of her garden with seeds, soil, water, and sunshine. In Grow Happy, Kiko also demonstrates how she cultivates happiness, just like she does in her garden. Using positive psychology and choice theory, this book shows children that they have the tools to nurture their own happiness and live resiliently. Just as Kiko possesses the resources needed--seeds, soil, water--to build a thriving garden, she also has the tools to nurture her own happiness--including social support, choices, and problem-solving skills. 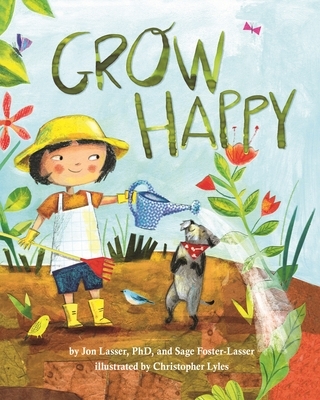 Grounded in principles of positive psychology and choice theory, Grow Happy helps kids understand that they play an important role in cultivating their own happiness using resources at their disposal. Includes a Note to Parents and Caregivers with information on how our choices and paying attention to our bodies and feelings affects happiness.